If you’re looking to boost your testosterone, or just simply increase the amount of muscle mass you get from training, you’re going to want to supplement Vitamin D3. Although referred to as a Vitamin, this nutrient is technically a hormone that is synthesized throughout skin via the sun’s rays and affects around 2,000 genes your body. And these are just a few of the benefits, this vitamin can offer. However, you need to make sure you’re taking enough of it to get the best results. Specifically, Vitamin D3, as it is the most potent version of the hormone, along with being the easiest for your body to absorb. 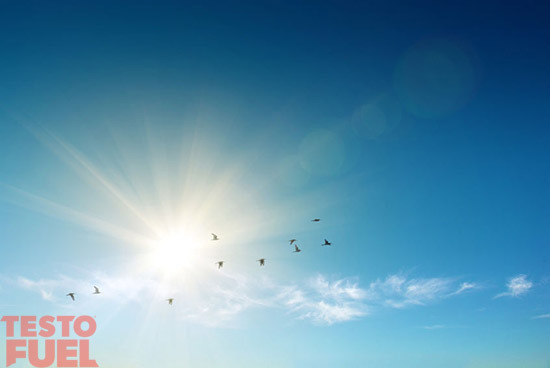 As we’ve said, the main way we naturally absorb Vitamin D is via the sun’s rays. However, as modern living has given rise to indoor workplaces and many people living in overcast countries it’s harder for your body to get the optimum amount it needs. In fact, reports estimate 1 billion people worldwide are deficient in the sunshine vitamin. Although it can also be found in animal products like meat and eggs, the main source of D3 is sunlight – eating more it will help, but it won’t make that much of an impact. Also, this doesn’t help you if you are a vegetarian. There are arguments for fortified milk and cereals which also contain Vitamin D, but these only contain Vitamin D2 – a synthetic version of the hormone which provides very little benefits. Several studies show that D3 is far superior to D2, and that you should always take the naturally extracted hormone over the synthetic alternative . Adding D3 to your diet is one of the best things you can do, and it can help both your training and your lifestyle in a number of ways. Firstly, numerous studies have been published linking supplementation of Vitamin D3 to an increase in testosterone and energy levels. In one study  men supplementing 3,332 IUs of the sunshine vitamin were seen to have both their natural testosterone and free testosterone significantly increase. Not only does D3 elevate your T levels; it can ramp up your strength and muscle quality too. A large review study published in the Journal of Science and Medicine in Sport  found that doses ranging from 4,000 IUs upwards helped a group of male and female volunteers increase strength and muscle mass in both their upper and lower body muscles. It also helps create a healthier you, with regular doses of Vitamin D proven to support a strong immune system. 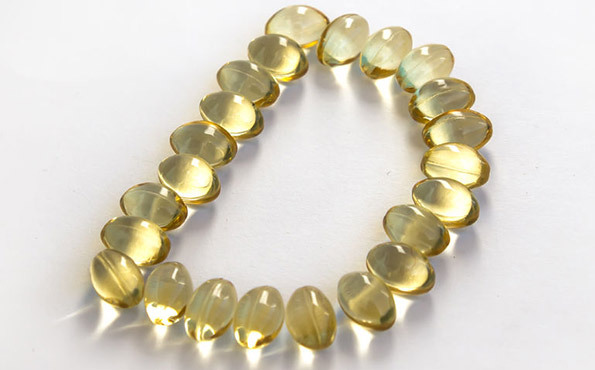 In a study involving school children  supplementing Vitamin D3 on a daily basis were 58% less likely to be infected with influenza A than their peers. You’ve also heard that Vitamin D is essential to both healthy teeth and bone density. Continued supplementation of this hormone gives your body the supply it needs for healthy bones and tougher teeth. The former being essential for anyone who trains with a heavy weight on a regular basis, or is often subjected to joint pains or injuries. Vitamin D deficiency is one of the biggest problems for guys who are struggling to get the most out of their training. They usually aren’t even aware that they’re lacking in the nutrient. With a total daily serving of 5,000 IUs of Vitamin D3, TestoFuel helps raise testosterone and supplies your body with exactly what it needs to reach optimum levels of the male hormone. Packed full of testosterone boosting nutrients TestoFuel is your ultimate tool in your journey to reach peak physical performance. Pilz S, Frisch S, Koertke H, Kuhn J, Dreier J, Obermayer-Pietsch B, Wehr E, Zittermann A. Effect of vitamin D supplementation on testosterone levels in men. Horm Metab Res. 2011;43(3):223–225. Tomlinson, PB et al. Effects of vitamin D supplementation on upper and lower body muscle strength levels in healthy individuals. A systematic review with meta-analysis. J Sci Med Sport. 2015 Sep;18(5):575-80. Urashima M, Segawa T, Okazaki M, Kurihara M, Wada Y, Ida H. Randomized trial of vitamin D supplementation to prevent seasonal influenza A in schoolchildren. Am J Clin Nutr. 2010;91:1255–60.